Dr. Charles Laux is the Director of Orchestras at Alpharetta High School where his duties include directing five levels of orchestra, including the nationally recognized AHS Symphony Orchestra. He also serves as Essential Elements clinician, consultant, and contributor for the Hal Leonard Corporation. A string educator for over 20 years, Dr. Laux has worked with diverse student populations from elementary school through collegiate level. Under his leadership as Assistant Professor of String Music Education from 2012-2016, Kennesaw State University became the largest string education program in Georgia and the KSU String Project grew to serve nearly 110 elementary school students. Dr. Laux remains in frequent demand across the nation as an orchestra clinician, conductor, and adjudicator. Dr. Artie Almeida recently retired after 37 years of teaching in the public schools. She was the music specialist at Bear Lake Elementary school in the Orlando FL area, where she taught 1,200 K-5 students. Her dynamic performing groups have performed for NAfME, AOSA, and on the NBC Today Show. 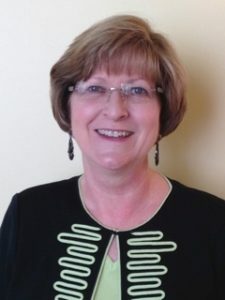 Artie was chosen as Florida Music Educator of the Year, and was as an International Educator 2006 by the Cambridge England Biographical Society. She was a Teacher of the Year at the school level 6 times, Seminole County Teacher of the Year and was recently chosen as a University of Central Florida Alumni of the Decade. Artie is included in the publications Who’s Who in American Education, and Great Minds of the 21st Century. Artie was an adjunct professor of music education at the University of Central Florida for 34 years, the saxophone instructor at Valencia State College, the music and movement instructor at Seminole State College and a saxophone performer and teacher. Additionally, she performs early music with Ars Antiqua and the Halifax Consort. Dr. Sarah McKoin serves as the Director of Bands, Professor of Music and conducting area chairperson at Texas Tech University. Her responsibilities include Conductor and Musical Director of the TTU Symphonic Wind Ensemble, administrating the graduate program in wind conducting, pedagogy and wind literature, while overseeing all facets of the university band program which include 5 concert bands, the 400-member Goin’ Band and other athletic bands. Under Dr. McKoin’s direction, the Symphonic Wind Ensemble has been featured at the 2018 Midwest Clinic, and has frequently performed for the Texas Music Educators Association Conference, and the College Band Director’s National Association Southwest regional conference. 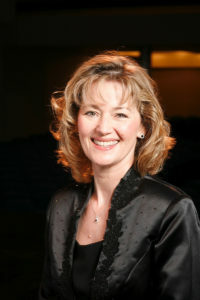 Dr. Lynn M. Brinckmeyer is Professor of Music, Associate Director of the School of Music and Director of Choral Music Education at Texas State University. During 2006-2008 she served as President for The National Association for Music Education (formerly MENC). 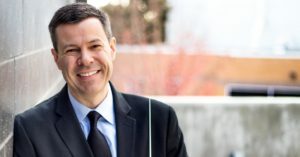 In addition to chairing the Eastern Washington University Music Department for six years and conducting the EWU Concert Choir, Dr. Brinckmeyer received the Washington Music Educators Association Hall of Fame, the MENC Northwest Division Distinguished Service Award and Eastern New Mexico University’s Outstanding Alumni Award. She founded the Eastern Washington University Girls’ Chorus while teaching at EWU. 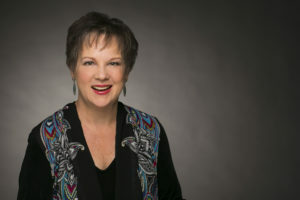 She has conducted all state choirs and honor choirs, lectured, presented master classes and performed in forty-nine states in the United States and twenty different countries, including China, Brazil, South Africa, Cuba and Peru. 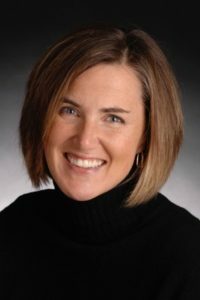 Nationally recognized as a leader in the choral field, Emily Ellsworth has served as Artistic Director of ANIMA - Young Singers of Greater Chicago since 1996; she has also served as Lecturer in Choral Conducting at the Bienen School of Music, Northwestern University, conducting the mixed undergraduate ensemble, University Singers. Under her direction, ANIMA has won several national awards, including the once-in-an-organizational lifetime Margaret Hillis Award for Choral Excellence from Chorus America (2008), the 2009 Dale Warland Singers Commission Award jointly given by the American Composers Forum and Chorus America, the 2013 and 2001 ASCAP award for adventurous programming, and the 2000 U.S. Library of Congress’ Local Legacies Award, acknowledging ANIMA as one of the nation’s cultural treasures. Her work with ANIMA has been featured on national conferences of ACDA, OAKE, and Chorus America. Ms. Ellsworth is indebted to her two primary choral mentors, Dr. Dale Warland and Dr. Doreen Rao. She is the proud mother of two very musical children: Robin Kesselman, Principal Bass of the Houston Symphony and Lindsay Kesselman, professional soprano.